The 2017 growing season was characterised by an even and mild spring, that led into a cool and mild summer. There were plenty of fine and mild days. In fact it was very similar to 2015 and 2010, in terms of the weather and. as it turns out, the wines as well. We began picking in late February with the Chardonnay and Pinot Noir and finished in early April with the Grenache Noir and the Italians. The 2017 wines are as good a set of wines as we have produced from this vineyard. They are fine, detailed, beautifully balanced and captivating. It seems to us, at this early stage, this is the highest quality vintage we have seen at Serrat. The 2017 growing season was characterised by an even and mild spring, that lead into a cool and mild summer. There were plenty of fine and mild days. In fact it was very similar to 2015 and 2010, in terms of the weather and as it turns out the wines as well. We began picking in later February with the Chardonnay and Pinot Noir and finished in early April with the Grenache Noir and the Italians. The 2017 wines are as good a set of wines as we have produced from this vineyard. They fine, detailed, beautifully balanced and captivating. 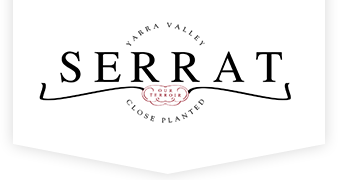 It’s seems to us at this early stage this is the highest quality vintage we have seen at Serrat.